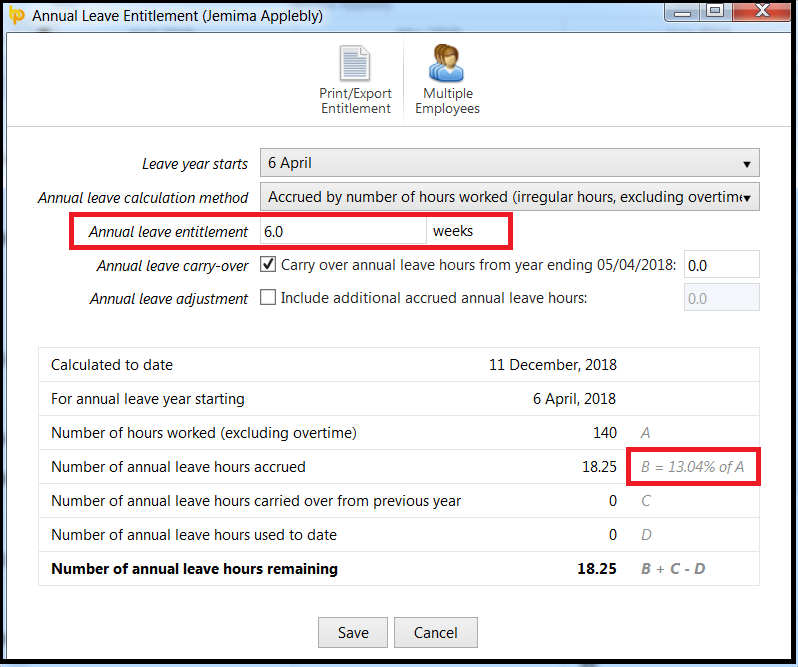 By default, BrightPay will calculate an employee's annual leave entitlement based on the statutory annual leave entitlement of 5.6 weeks (12.07% for hourly paid employees). 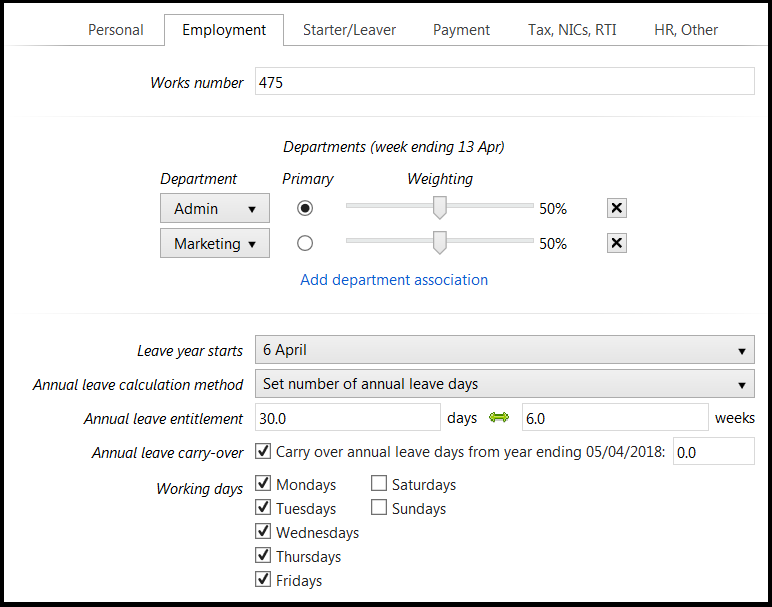 This can be adjusted by the user, if required e.g. an employee is awarded more due to long service.